A college scholarship worth $10,000 is up for grabs in a competition for West Virginia high school juniors and seniors who have a great idea for a business and a plan for success. 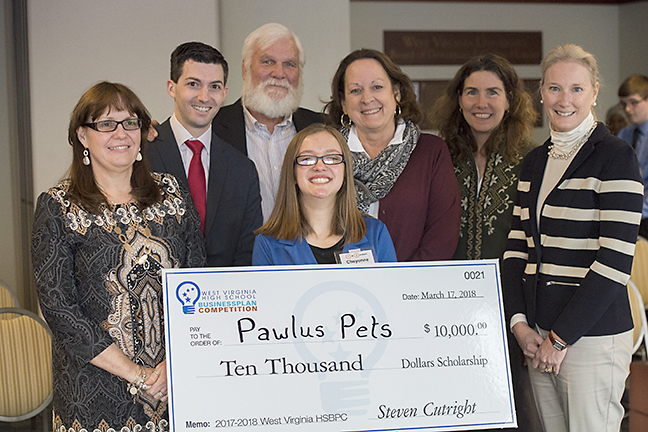 Cheyenne Pawlus, winner of the 2017-18 West Virginia High School Business Plan Competition, is pictured with her big check for a $10,000 college scholarship. She won as a junior last year at the Fayette Institute of Technology in Oak Hill, West Virginia. High school juniors and seniors in the state may enter this year’s competition through Dec. 7 at noon. 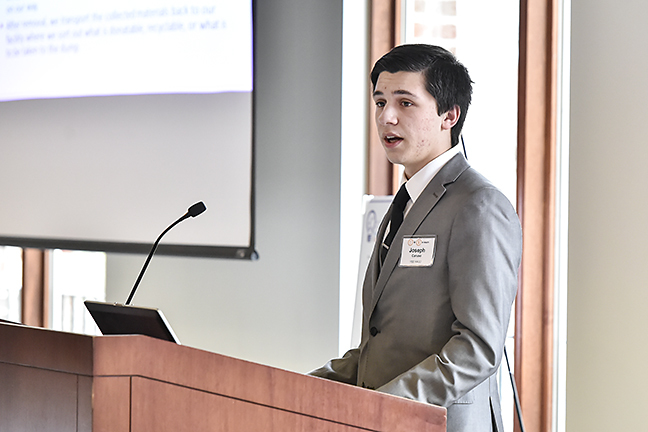 Joseph Caruso, of Lincoln High School, is pictured pitching his business idea in the 2017-18 West Virginia High School Business Plan Competition. Any West Virginia high school junior or senior may enter before Dec. 7 at noon. Grand prize is a $10,000 college scholarship to one of the state colleges or universities.